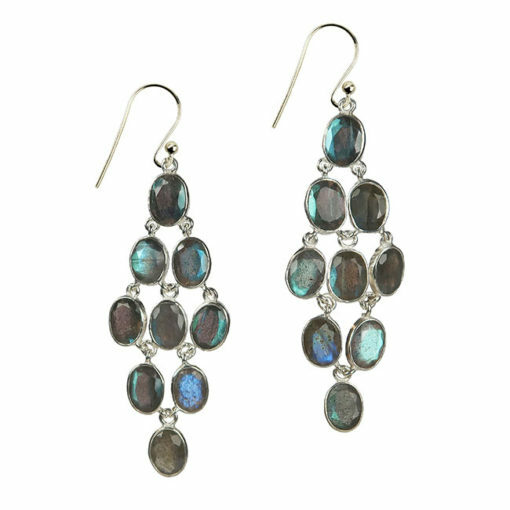 Labradorite Chandelier Earrings Silver. A pair of stunning chandelier earrings featuring beautiful rose cut labradorite gemstones. These wonderful stones have flashes of blue and green fire. The neutral tones, make them easy to wear, perfect with jeans and a white shirt, a floaty dress for a boho look, and smart enough to wear in the evening. 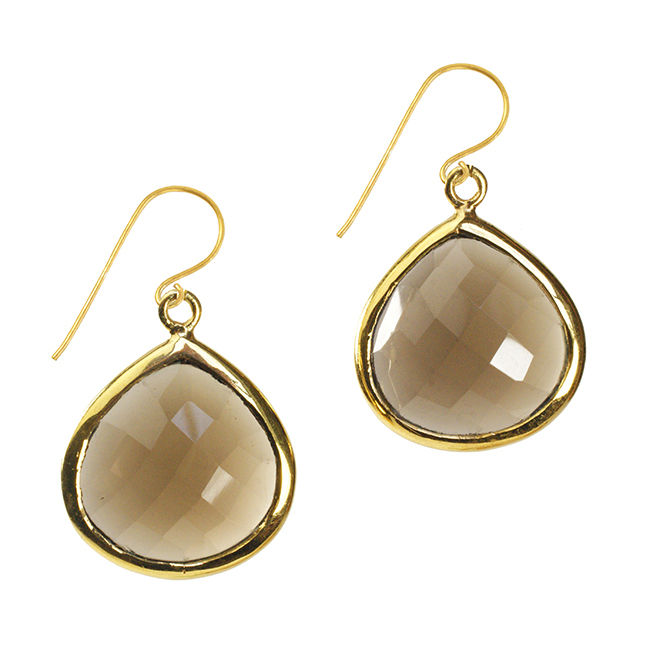 The stones are irregular in shape, giving each pair a sense of uniqueness. 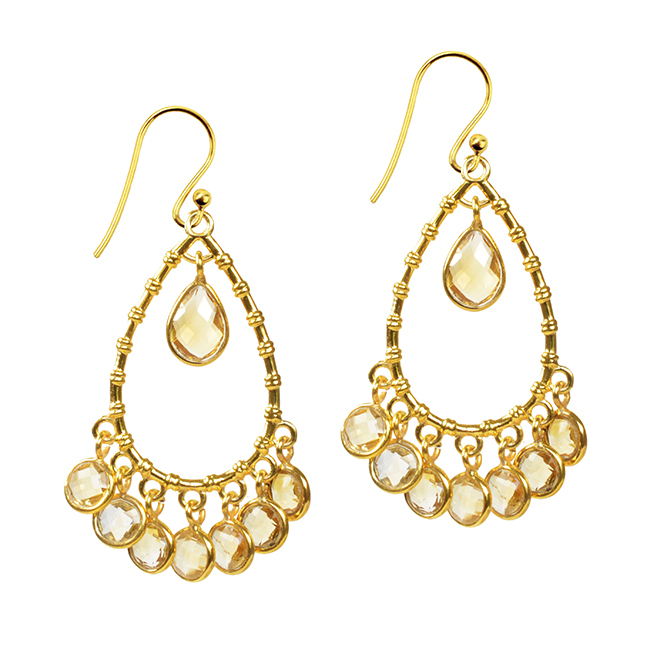 The earrings are handmade in our workshop, the stones have been set in silver. 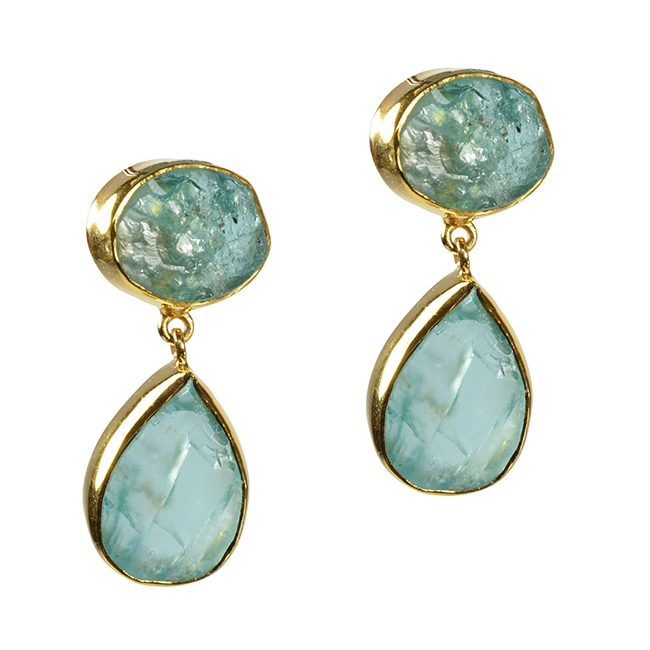 As with all our jewellery, the earrings are gift wrapped in our signature blue box and hand tied with pretty ribbon.